Now, with Mavic Air it’s easier than ever to capture the perfect shot no matter where you are or who you’re with. Whether you’re a seasoned traveler or just starting to explore the world, take a look at DJI’s top drone tips and tricks before your adventure unfolds. 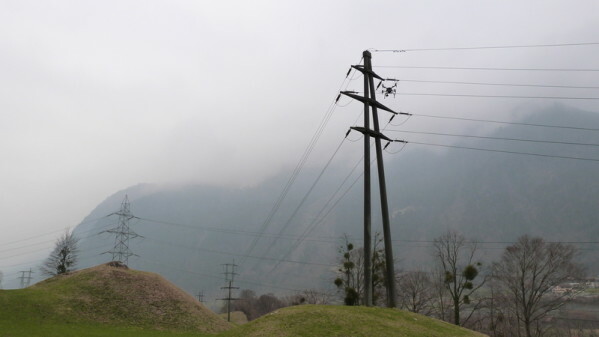 With lines running along valleys and across Switzerland’s notoriously steep mountain ranges, Swissgrid, the owners of 6,700 km of transmission lines, and the local network operators have a difficult task to ensure the vast network remains operational all year round – especially through harsh weather conditions. As the requirement for inspections increase, grid operators have turned their eyes towards how they can improve efficiency and benefit from huge cost savings through implementing new technology into their daily operations. Starting in 2014, Alpiq established a drone services team which carried out aerial inspections to supplement their existing work with national and regional network owners. Equipped with a Zenmuse XT thermal camera and Zenmuse Z30 with 30x optical zoom, DJI’s M210RTK documents damage such as lighting strikes, broken insulators, crumbling concrete or rusting metal structure and helps them to understand the thermal footprint of electrical components. To find out more about this contact olivier.mondon@dji.com or share the full story here with your readers. DJI’s Inspire 2 complete with the Zenmuse X5S and the iconic Phantom 4 Pro were on hand to capture all the stages including the Monte Lerno stage – home to the iconic Micky’s Jump. Cars fly high and long as the road literally drops away beneath them. The steepness of the take-off, combined with the proximity of a sharp left-hander shortly after, make it a must-see. So, if you like your WRC action of a high-flying nature, then it gets no better than here.